The most frustrating experience you can have is to have a problem and not know how to solve it. Since 2007 Top Practices has been coaching, mentoring, and empowering medical practices (Podiatrists, Plastic Surgeons, OB/GYN's, and many other specialties) to know EXACTLY how to market their practices and build strong profitable practices. Find out about our unique Mastermind Program and how it can help you too. Doctors don't have the skill set to market a medical practice on the Internet, it requires specialized knowledge. It comes down to "who do you trust." Top Practices' team of Virtual Marketing Directors solve that problem. Learn how we do it. 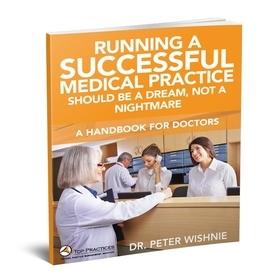 Looking to Manage Your Practice More Effectively? Your practice management challenges aren't going away. You and your staff can fix them IF you know what do to. Top Practices' Practice Management Institute's coaches can enable you and your staff to run your practice so well you will get your nights and weekends back. Really. Expertly market to your list while saving time and money and start converting prospective patients into office visits and current patients into returning ones. A well-done monthly newsletter, sent both via email and physical mail, is the key to your practice's long-term growth and patient referral and retention. Books and campaigns are a way for you to provide valuable information and maintain communication with people who might otherwise forget about you. We teach principles that can transform your boring words into great copy that inspire people to come to you to solve their health problems. Everything you do and every choice you make starts with your mindset. And the key strategies that make others successful can definitely be learned. Practice management doesn’t have to be one headache after another. 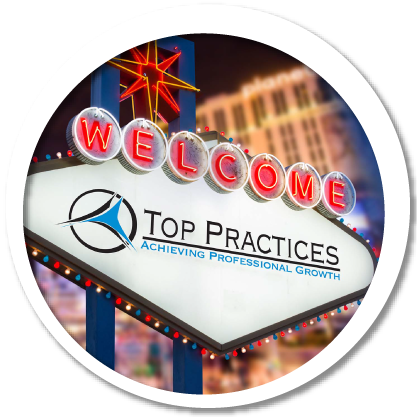 Top Practices offers a FREE book to discuss practice management issues. 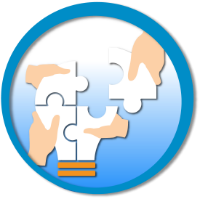 Marketing your podiatry practice doesn’t have to be frustrating, expensive, and ineffective. 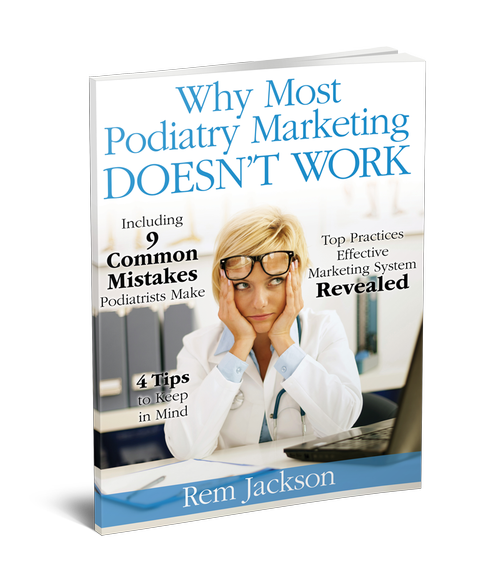 In "Why Most Podiatry Marketing Doesn't Work," author Rem Jackson explains in easy to understand terms how marketing your practice can not only fill your reception room with as many of your “perfect patients” as you desire, but it can be enjoyable too. Welcome to Top Practices, the podiatry practice marketing consultants that professionals have been turning to since 2007! Practicing podiatry has grown more and more challenging as technology and treatment advances and regulations change in today’s world. Marketing your practice effectively and managing your practice efficiently has never been more important to be able to stay in business and offer the best possible care to your patients. Our team of coaches and marketing specialists help podiatrists in multiple specialties across North America (and even around the world) succeed in the world of private practice so they are able to enjoy their lives and practice medicine without stress. We invite you to take a look around our website at the services and products we offer to help you achieve your goals and transform your practice from the one you have into the one you want!